on offer. A highlight for visitors is a tour of the La Rioja wine region. Logrono also sees a number of pilgrims walking through the city on their way to famed Santiago de Compostela on the Camino. Logroño is located in the northern region of La Rioja and on the river Ebro. The Camino de Santiago also passes through the city. Logroño was an old settlement, first of the Romans, under the name of Vareia, a commercial port, and then of the Celts. From the 10th century, possession of Logroño was disputed between the kings of Navarre and those of Castile; the region was finally annexed to Castile. Alfonso VI of Castile granted Logroño in 1095 a charter of rights that served as a model for other Spanish cities. In 1609 and 1610 Logroño was the main seat of the Basque witch trials, part of the Spanish Inquisition. 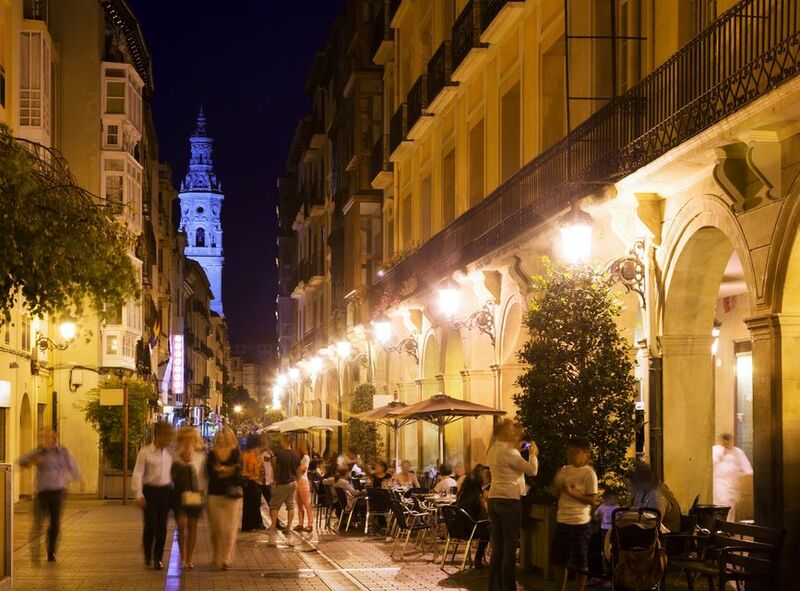 Logroño now is the shopping and financial capital of La Rioja. Its economy is heavily reliant on wine. Logroño has has a distinguished culinary tradition.